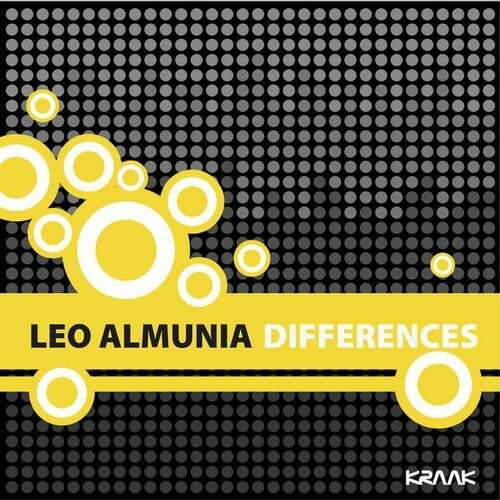 Kraak Records proudly presents the Italian project Leo Almunia, signed on the artist roster with a brilliant EP under the name Differences. A four track house concept EP with a wide variety sound from Nu Disco to Chicago house and indie dance to tech house grooves and latin influenced beats. Each of the four tracks that appear on the EP have a unique style and concept that is easily distinguished while digging through the Differences EP songs. Starting with The Wait, a deep and groovy nu disco theme with funk and soulful elements plus an ethereal soundscape of minimal tech house that dives you into time and space. Guitar Extravaganza continues the journey with latin flavored vibes over house beat, lounge and melodic guitar lines. Next is Love Molecules a deep end 90's style tune with old school house beats, vocoders and synths. The song is constructed with Balearic atmospheres and a piano roll to catch the melody. Swank is the closing ep track with uptempo chicago house concept. Full pumping beats and a deep huge sub-baseline is the secret of the groove, with funky chords and dub tech sounds and samples.